Available in smooth and wood grain textures, cellular PVC beaded sheets are ideal for wainscot trim in bathrooms, laundry rooms or other high-moisture interior areas. Tongue-and-groove edges give KLEERBeed Beaded Sheets the same finished look as individual boards, but the larger size speeds installation and assures a consistent surface. This center bead, reversible tongue-and-groove profile features a unique shiplap nailing flange that increases installation speed and improves the finished look. 4″width: 1/2″ x 3-1/4″ x 16′ – 1-5/8″ on center bead reversible tongue & groove. 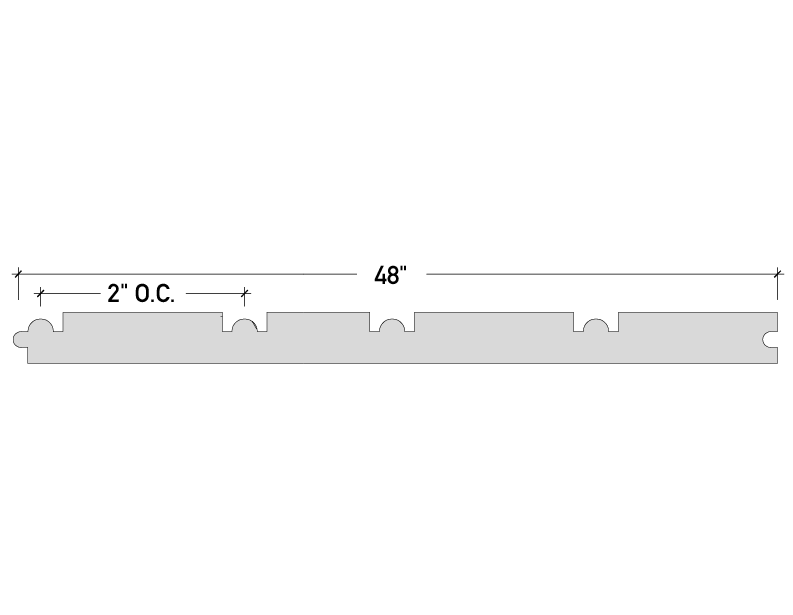 6″width: 1/2″ x 5″ x 16′ – 2-1/2″ on center bead reversible tongue & groove. This traditional profile replicates the look of tongue-and-groove wood planks without many of the maintenance worries. It’s the perfect size for soffits but can also be used in a variety of applications where durability is a must. Visualize Kleer Beaded Boards in your exterior home design. 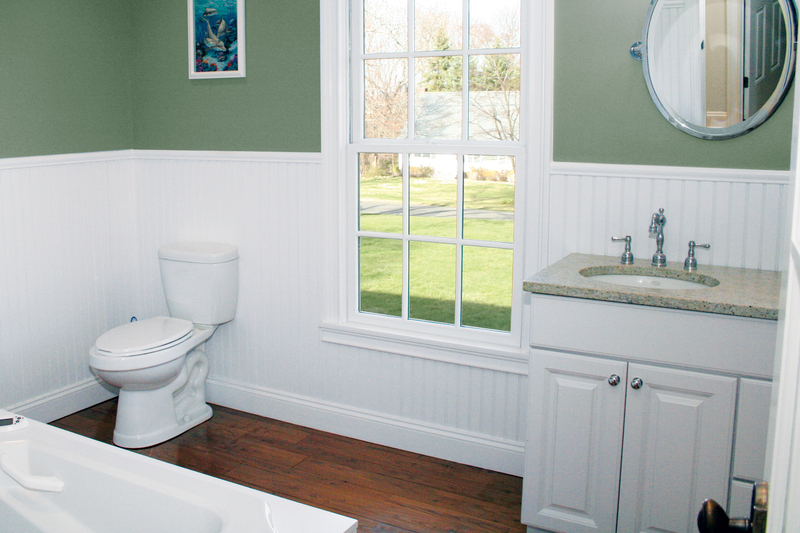 Check out the latest design ideas using bead boards and PVC Trim.